Wipe away your mermaid tears because are you ready for this? There is now a mermaid cafe to fulfill your underwater dreams! The first cafe that opened was called the Mermaid Island Cafe in Rangsit in Pathum Thani province (outside of Bangkok). But now the Pathum Thani cafe is under renovation and they have just opened (in August 2017) a larger ‘castle’ in the heart of Bangkok! Now it is called Mermaid Castle Siam at Siam Square, which is near MBK and Siam Paragon. That makes me super happy because it is so convenient to get there! Not only that, there’s FOUR floors dedicated to all things mermaid. The first 3 floors are for shopping, where there are mermaid related clothes, bags, jewellery and makeup. The cafe sits on the 4th floor. While the Unicorn Cafe had plush sofas, the mermaid cafe is a little less luxe, with pink stools. I LOVE how they have a Villain Zone for those who prefer the sassy Ursula over the wide-eyed Ariel. Their desserts are multi-coloured just like this green and pink waffles. Uber cute fish tail cupcakes! I want one in every colour! Their shapes look so hyper-realistic too. Wait hold on, I think we’ve mixed in the wrong Disney movie here. Is this part of the script? They also have mermaid tail blankets for you to chill while sipping your milkshake. This photo above was from the old cafe at Pathum Thani. To be honest this one looks cozier than the other, with lots of plush pillows and pretty gauzy curtains. Of course, if you prefer to skip the cafe and get down to shopping, there are lots of pretty things to look at! I really want a fluffy shell cushion. Reviews mention that the cafe space is too small. Some reviewers mention that it’s warm in the cafe and the air conditioner did not seem to be working. The prices of the clothing and trinkets are reasonable. Reviewers recommend that it is better to go on a weekday to avoid the weekend crowd. Right, so there are not many reviews right now (only 100+) since the cafe is still fairly new, since it was opened in August 2017. 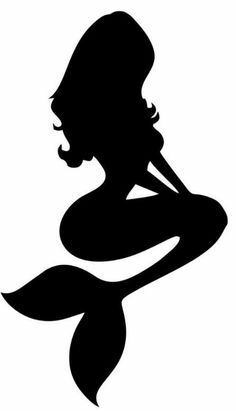 But I think it would definitely be a good novelty experience to go, especially if you are a mermaid fan. RELATED: Did you know there’s a unicorn cafe in Bangkok, Thailand? How to get there: Take the train to BTS Siam Exit 2. The cafe is between BTS Siam and National Stadium BTS Station. Will I see you there, mermaids and mermen? Next Next post: The Little Mermaid comes to life in this fairy-TAIL beach wedding photoshoot!